FitFarms is headed up by Andrew Baker a GP Referral Fitness and Weight Loss Management specialist. Andrew has chosen a team not only for their advanced weight loss and fitness qualifications but also their personal skills. FitFarms is particularly strong in nutrition and psycology and has written regular columns in “The Daily Telegraph” and appeared in media titles like the “Psycologies Magazine”. The FitFarms team are all extremely approachable, knowledgeable and they will work with you to reach your short and long term goals. The residential team are backed up by a large team of external specialist instructors which are all experts within their field. Andrew is a fully qualified personal trainer specialising in weight management and medical rehabilitation. The bulk of his experience is working with people looking to gain and maintain a healthy weight whilst working on their overall fitness levels. He is a qualified in Vipr, kettlebells and powerplate and has studied emotial behaviour patterns helping people with their relationships with exercise and nutrition. Helen has been working for in the residential weight loss industry since she graduated with a Sports Science Degree from Swansea University. Her area of expertise is in strength training but she also covers dance and agility. Helen has a holistic approach to health and fitness which comes across in her lifestyle workshops. She is a very popular mentor and is great and getting the best out of guests giving different intensity levels to all types of exercise. Lesley has a busy private practice in Exeter and a particular interest in stress-related disorders and digestive problems. Outside of nutrition Lesley enjoys travel, yoga, and live music. Going to rainy festivals is a particular favourite! 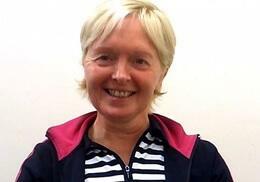 Lesley is a Registered Nutritional Therapist with the Complementary and Natural Healthcare Council (CNHC). She is a full member of the British Association of Applied Nutrition and Nutritional Therapy (BANT) and a college tutor for Natural Healthcare College. Matthew is a fully qualified chef and has over 6 years experience in London and Cardiff restaurants. Matthew has come from a Michelin restaurant background and in 2016 his healthy recipes were published in the UK. He is extremely approachable and brings a fun and exciting mix to the nutrition programme. He runs the cookery workshop during the courses and provides all the recipes that he has created as part of the FitFarms post course programme. Kim has over 10 years in the dance industry and brings. She is multi qualified and specialises in Zumba, Clubbercise and Streetdance. The sessions are tailored to the individual and broken down into small pieces so everyone can progress through the class. The dance and fitness classes are built around building confidence and self a steam through fun modern dance techniques. Jason has worked in the Health and Fitness industry for over 20 years. His main area of expertise is in contemporary dance and body combat. Over the years Jason has been a health advisor for the NHS, fitness studio coordinator and studio manager at some of the leading UK health and fitness companies. His classes are always highly energised and like all the FitFarms team he is very approachable and knowledgeable.